Will the slides of this presentation be available later? No, but the presentation will be available on Connect, and YouTube. Will a transcript (written) be available? 25 years post Stage IC, diagnosed at age 31. Just had BRCA/2 VUS. Parent testing pending. Not clear on implications for surveillance for daughters, ages27 and 29 beyond Bcps with VUS. Thoughts? Dr. Weroha: participating in clinical trials DOES cost patients $$. Insurance doesn’t pay for the trial drug, true, but it may have to pay for the administration of it – even if it’s not SOC. And so patients end up paying the copay for the admin. of the drug. I paid over $110 every 3 weeks for the admin. of Avastin for a trial, plus $30 for each checkup required every 6 weeks, plus parking fees and gas etc., for 22 cycles! My mother participated in a trial at NIH and although they arranged her plane flights, they didn’t provide a place to stay, when she had to be near Bethesda, MD for about 3 days every month. Hotels in the area start at $200/night! What are your thoughts on the “new blood test” that is supposed to reveal which women will get ovarian cancer (out of the UK)? What if I didn’t have my surgery at Mayo but did have my tumor profiled through Caris, could I still do the Avatar trial? By initial surgery for qualification for the Avatar study, do you mean surgery at initial diagnosis? I had platinum based treatment in first occurrence, 10 months NED, recurrence and now not responding to second line treatment. Am I a candidate for the Avatar study? I have BRCA 1 mutation – what age should I consider surgery? What if my family isn’t complete yet – are there other options? I understand that women who don’t have either of the BRCA mutations can nevertheless have tumors that have one of those mutations or that behave as is they have those mutations. Would you recommend having tumors tested for this, and if so what course of action if the test is positive? What is the youngest age that you recommend genetic testing for 15 year old girl who’s paternal grandmother [age in the 60’s] died from ovarian cancer [no genetic tests] and who’s maternal aunt had Stage 2c ovarian cancer with negative BRCA1 and negative BRCA2 at age 60.? 41 yr old-if I decided to have fallopian tube and ovary removal due to genetic testing results, did I miss the window? why is the recommendation between the ages of 35-40? is this still a benefit to have performed in 40’s? How can I distinguish symptoms of ovarian cancer from possible gastrointestinal conditions (with similar symptoms)? 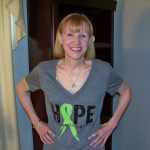 I have been told that ovarian cancer is sometimes misdiagnosed as a gastrointestinal disorder.